With Premier Heating And Air, our customers are getting the heating service they need. Whether your tankless water heater is in need of repair, or if you need an entire furnace replacement, we’ve got the skill and know-how to take care of whatever you need. 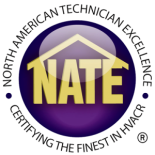 Our technicians are NATE certified, which means that they are qualified, and capable of handling any situation regarding your furnace. Our customers can trust in our technicians to conduct honest and thorough work. Not only will our customers receive quality work, but they’ll get competitive rates. And if you’re not satisfied, we offer a 100% satisfaction guarantee on all of the services we offer, so that you only get the best heating service in Denver and surrounding areas. If you’re in need of a furnace replacement and installation, we can do that for you. Whether it’s to replace an old broken furnace, or just a new furnace for a new home, we can help you choose the system that’s right for you. Is your tankless water heater or furnace causing you grief? Maybe it’s not blowing the air into your home, or just isn’t kicking on at all, either way, it sounds like you’re in need of heating service repair. Let us take care of you and we’ll have it running in no time.